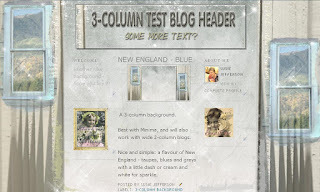 Herewith two new sets of freebie blog backgrounds, variations on a theme. Very shabby chic, very minimal, lots of distressing. I hope you enjoy them! This comes in both 2-column and 3-column sizes, with matching headers. Click on the link to get the codes. Even more minimal: taupes, beiges, creams and greys. 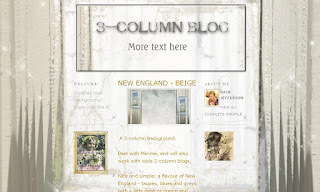 In 2-column and 3-column sizes with matching headers. Go here for the codes. Thanks so much, ladies! Glad you like them. SUNSHINE AWARD FOR CREATIVITY & POSITIVITY!